How is such a concept possible? If you guessed the cloud, you are on the money. Microsoft Research is working on a project which, in broad strokes off-loads the high-power consuming tasks to the cloud. It is being called, Cloud-Offloaded GPS (CO-GPS). We all know that GPS is a power-hungry feature and unless you are packing a charging cable or have a device with a ginormous-sized power cell, it is not practical to use navigation with impunity on a road trip and still have enough power for a functioning device. 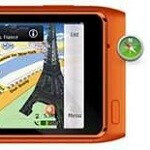 In the current environment, this limits the usefulness of GPS in many applications. GPS location acquisition is the giant power grab every time. There are two reasons for this. The first is that satellite information is sent at a woefully slow rate, as low as 50-bits-per-second. The second is due to the amount of signal processing that is required, and the inherent weakness in the signal. That requires the GPS chip, and the CPU to work continuously. Researchers are now using a number of already available collections of information to create a post-processing environment. They have also built a system called CLEO (Cultivating the Long tail in Environmental Observations) to use as a sensing device to evaluate how efficient their solution may be. Their 14 page report has extraordinary detail, but the bottom line is that CO-GPS solution can help devices obtain a GPS fix in only 2-milliseconds, and subsequently results in power consumption from 1 Joule of energy to about 0.4 – millijoules, 99.96% more efficient. Apparently that number is not good enough as the researchers are looking to make things even more efficient by experimenting with signal processing and compression methods. CO-GPS does not require long continuous connectivity because most of the data is accessed “offline” from the satellite feed. What this means is that as this technology and other solutions gain ground to make GPS more energy efficient, there will be born a whole new set of services and applications. iOS, WP has less to do than Android so will have advantage on processing power. Wait until iOS and WP implement full multitasking and has as many features as Android to see how they compare to Android. @Deerajrp don't know what customization you're talking about. Can you explain? customization as in the sense of u.i customizations. in an android i don't need to dig in to the settings to turn on or off my wifi,bluetooth or mobile data . i can my my android "ME" but in ios i can't it's pretty much limited! yeah but i think apple won't be needing such advancements due to their OUT OF THE WORLD MAPPING SERVICES! and I mean out of the word that it has no need to make use of GPS receiver. How did a article on GPS turn into a conversation about apple? Anyways good article and I sure each OS could use a GPS that uses less power. Boggles my mind. GPS signals using less power =/= apple vs Android. Very cool tech though. Will put this on my list of wanted tech along with silicon batteries, microUSB 3.0, and a nexus with sufficient storage. Sounds great, but does this mean that turn by turn service now is very power consuming? It most definitely is. Have you not used it? GPS is more power hungry than LTE. Ideal circumstances permit, 3-4 hours of GPS and your phone is gone. Razr Maxx being the outlier as usual. This is the way some companies want us to go. I dont like it. To be dependent on a data signal for gps. Do not 99.999% of vehicles built today have a charging port? We already no longer have unlimited data, this sounds like going back to the days of telco sponsored GPS systems. This is just another way of bleeding more money out of us, while still charging the same amount for the hardware. I would rather see the subsidized phones go away and be allowed to use any phone on any carrier. The hardware is held at such a high price because of this, along with the monthly fees they charge. If samsung, motor, HTC, Nokia and apple were to compete directly with each other and not carrier driven, i think this would really drive the prices down across the board in both hardware and service fees. But, this will not happen anytime soon, the telcos are making way too much money in the current model. If a phone like the S3 only costs a couple of hundred to make, why does it cost us six hundred over the counter? Does anyone really believe the telcos are paying that price? Of course not. Maybe 3 hundred. Then they still pass most of that on to us in upgrade fees then we are stuck in a contract. Let's get rid of the middle man and have everyone in the business compete directly against each other. Only then will thus system start benefitting the consumer. Sorry for the rant.